Using personalized triathlon coaching and nutrition plans, 2 Doc Tri Coaching helps triathletes of all sizes, shapes, abilities, and ages reach their triathlon goals. Drs Kurt and Cindy Dallow are triathletes and health professionals: Kurt's a medical doctor and Cindy is a registered dietitian with a PhD in nutrition. Both thrive on endurance training and love helping others do that as well. BUT, both of them have also seen too many people get sidelined with injuries that could have been prevented (or treated differently) or who missed a PR because of nutritional issues that could have been prevented. For this reason, both became certified as USAT triathlon coaches and started 2 Doc Tri Coaching. 2 Doc Tri Coaching provides both coaching AND triathlon nutrition plans for our clients. We combine our personal experience competing in on- and off-road triathlons with our knowledge and expertise to make sure our clients have a training plan and a nutrition plan that fits their unique needs and specific goals. Kurt has done over 30 full marathons (with a PR of 2:46) and dozens of half-marathons before getting into triathlons. 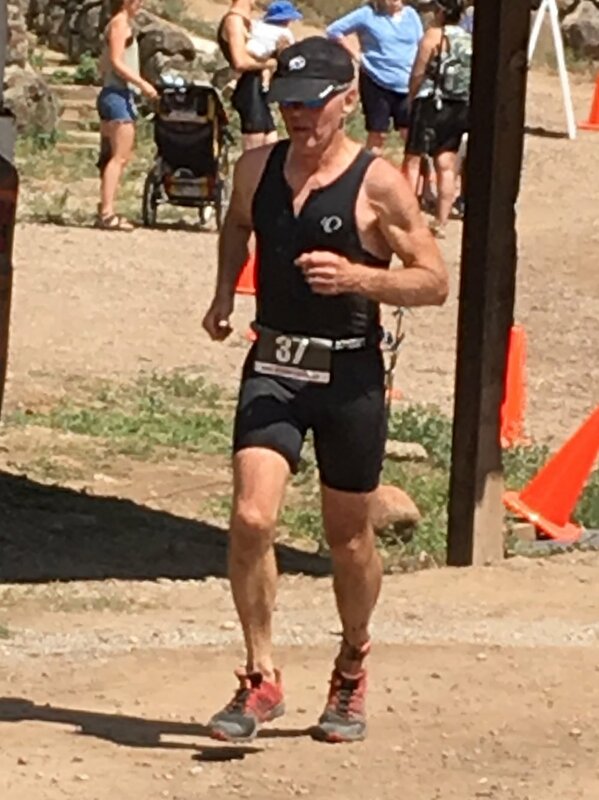 After a few 70.3 races, he decided to make the switch to Xterra racing as his love for mountain biking grew and grew. 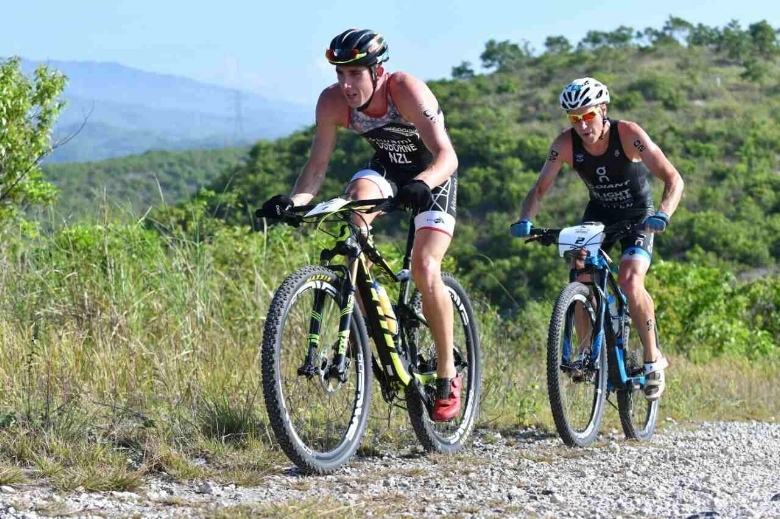 Since then, he has finished 20+ Xterra races, often placing in his age group, and this year he qualified for the Xterra World Championships in Maui. Kurt is a Medical Doctor and Fellow of the American College of Sports Medicine. He worked as a family doctor for 33 years before starting at the Orthopaedic and Spine Center of the Rockies in Greeley, CO, where he currently practices sports medicine. Cindy came from a running background as well. 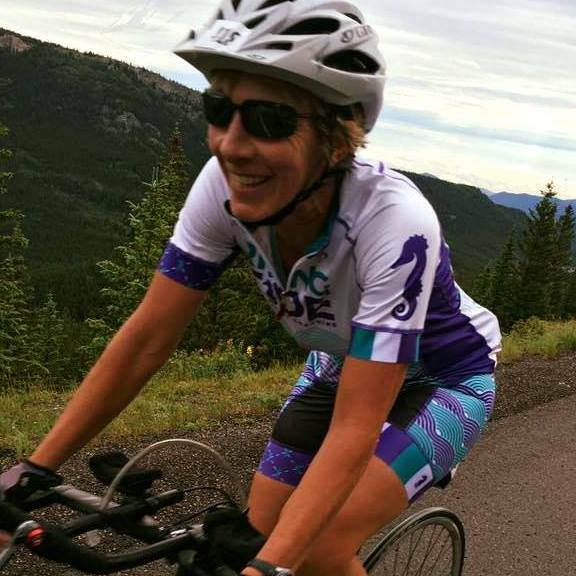 After finishing her 12th marathon, she realized that she needed some cross-training. At the age of 45, she learned how to swim in a pool and then a few years later, she took the plunge into open water swimming. Fast forward 8 years and she has completed dozens of sprint, Olympic, and 70.3 races, and 5 full Ironman races. 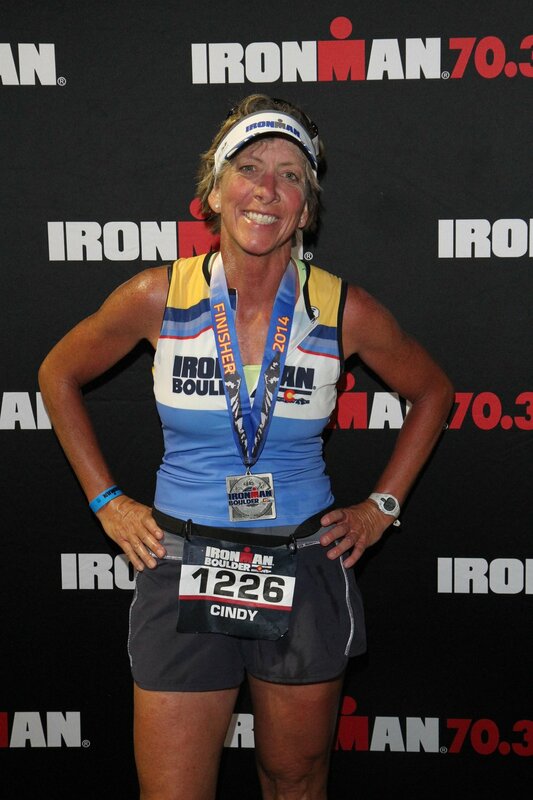 Cindy is a Registered Dietitian with a PhD in nutrition from Colorado State University. She is also a certified USAT triathlon coach and a certified intuitive eating counselor. “Although I swam and ran for many years, I had problems with recovery when I started training for endurance events. Cindy’s counseling helped me get more out of my training and go further than I ever thought possible, including 5-hour long mountain bike races. I was pleasantly surprised to find how some simple diet changes could make such a big difference.” Geoff, mountain biker and road cyclist. Why train with 2 Doc Tri Coaching? 2 Doc Tri Coaching is a pair of geeky jocks. Kurt and Cindy eat, sleep, and breathe triathlon training but they also understand the importance of balance. Training for an endurance event is hard when you have family and work commitments. If you let a coach do all the thinking and planning for you, you'll have a much more enjoyable experience on race day. Yes, you deserve expert support. Triathlon coaching is not just for elite athletes. It's for folks with special medical conditions, masters- and senior-level athletes, newbies, novices, plus-sized athletes and anxious beginners. If you are motivated and passionate about giving triathlons more attention and dedication with a safe, and smart approach, let's talk. We want to train you. It's time to take your triathlon dreams seriously! Never done this kind of thing? Great, no bad habits to break! Start the smartest, safest way possible. You're less likely to get hurt, you'll save time and enjoy the process so much more. We are there every step of the way to avoid common pitfalls of newbie Triathlon training. We will help you make the most out of your precious training time, help you avoid common training injuries and teach you how to nourish your body during this new endeavor. How? Completely personalized, intelligent training AND nutrition plans designed for your unique needs. Triathlon training is challenging but fun! Been at this for awhile? Not your first rodeo? Ready to kick it up a notch and shave some seconds (or more) off of your best? Then it is 100% time to look long and hard at your training routine, mindset, and of course–your fueling. We love working with triathletes that are dedicated, focused and curious about what you can do to train smarter, eat for performance, and improve your game. We'll custom-craft you a plan that takes into account your previous training approaches, your specific goals, and your current health and fitness. Being master's level athletes ourselves, we can not only coach you, we can relate to you! Our bodies change after we turn 40, 50, 60 and beyond, right? Training is not as easy as it used to be! We also have different nutritional and medical needs. This is where 2 Doc Tri Coaching comes in: Kurt has over 30 years of experience as a family and sports medicine physician and Cindy has 25 years of experience helping people improve their nutrition. What makes us different from those auto-generated online-training plans? 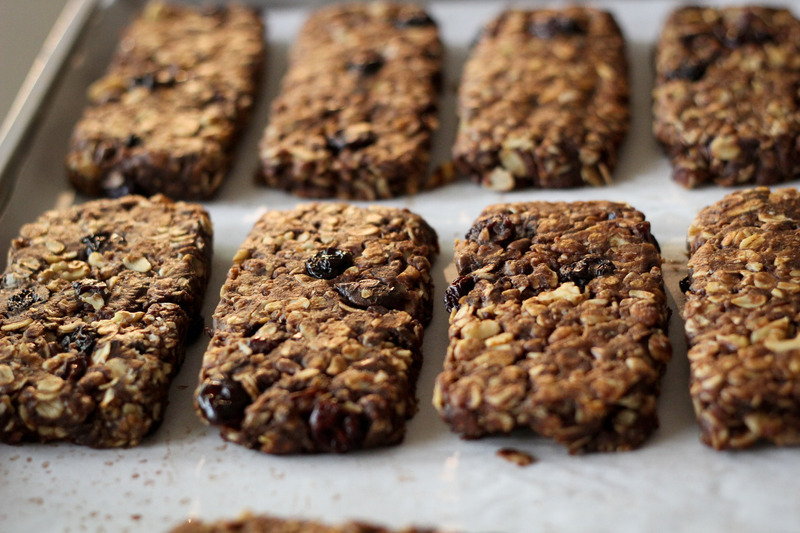 We provide BOTH triathlon coaching AND triathlon nutrition planning! We will customize your plan to YOUR schedule. We want to hear about YOUR goals!